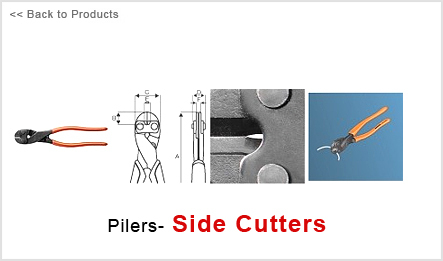 Power cutter with centric precision cutting edges. edges are additionally induction hardened 63-64 HRC. Finish: Black oxidised anti-corrosion treated. Material: Chrome-vanadium steel. PVC coated handles.